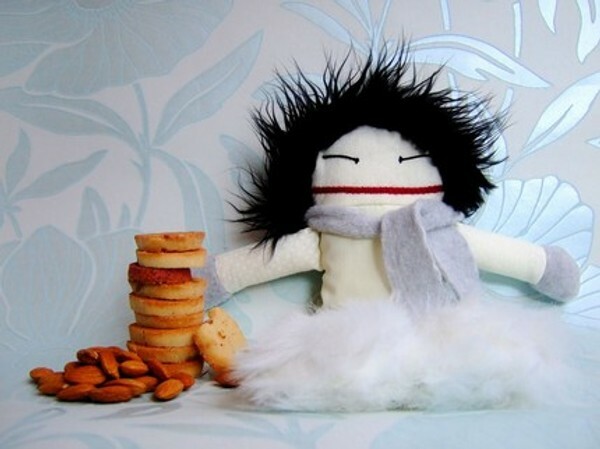 I’m not sure I can go on without owning one of these delightful handmade dollies. Each has its own very individual character and the humour is written all over each sweet little face. A Raplapla is a doll without a neck. A doll without ears, elbows, knees or even a nose. But each Raplapla does wear a smile. A magnificent smile you can’t wipe away in the wash.
Their lovable looks, permanent smile, and love of fine food will capture the hearts and imaginations of many! Be sure to read the blurb on each doll as they’re incredibly entertaining. Each Raplapla is US$42 plus shipping from the Raplapla Etsy store.